We just had a visit from Radu from Blue Orange Games. 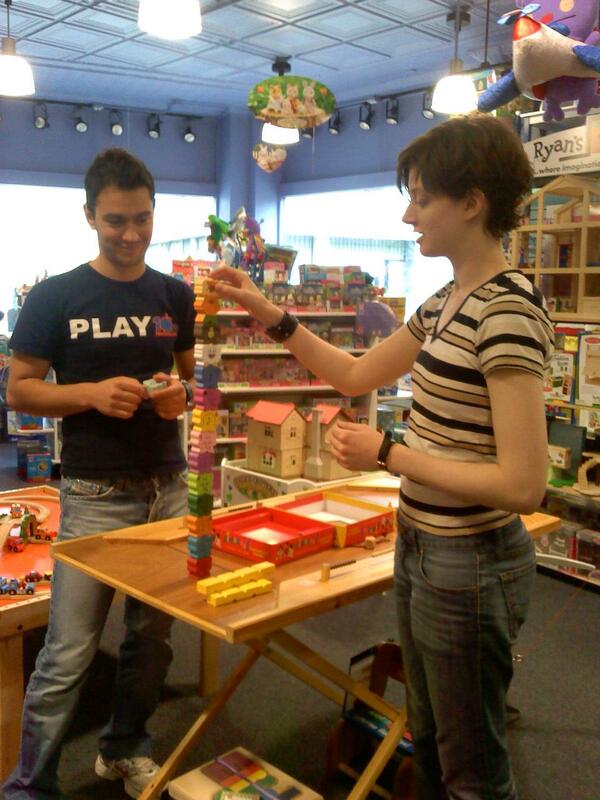 He played new and old games with customers and our staff. In this photo he and Emily are playing Zimbos. hits our shelves tomorrow. Come in early because we anticiapte it will sell quickly. There are dozens of activites in it and more than 600 of the fanciest reusable stickers ever! The newest craze has finally hit Glenview and Evanston….rubber band bracelets! 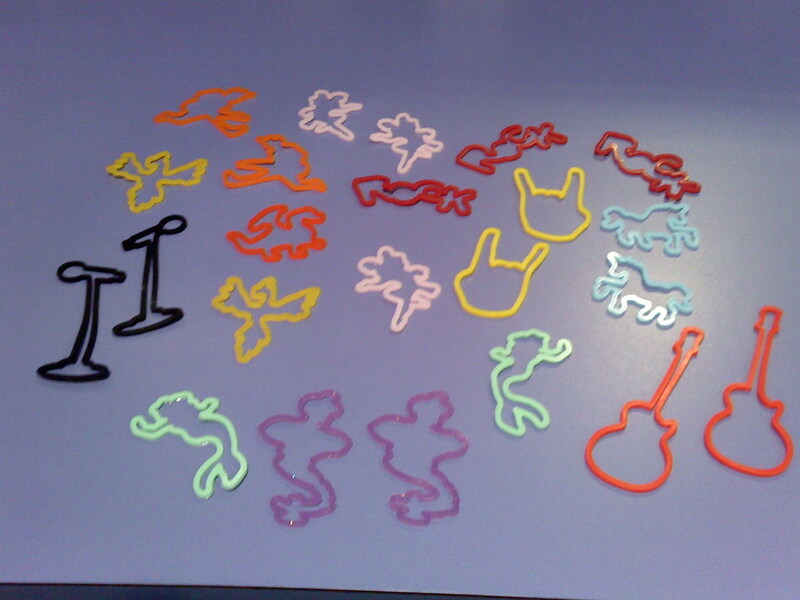 We just got in 24 packs of Silly bandz in 7 styles. You can wear them and use them and collect them. Come in and see them…while they last!! We just came back from our four day toy convention in Providence, Rhode Island. We found so many new, exciting toys and games that we are looking forward to sharing with you. We’ll start posting products as they come in. Posted in Uncategorized. Comments Off on Have you missed us? In honor of Becky’s birthday today we are playing Take the Cake by Gamewright. Bring in your 4,5, and 6 year olds to play with us. Late for the Sky College Monopoly Games are in! Need a creative gift for a high school or college grad? 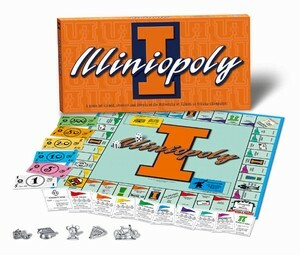 Get them a university-themed monopoly game! We have games for many schools and can special order other schools for you. Posted in Uncategorized. Comments Off on Late for the Sky College Monopoly Games are in!